When I was pregnant with my son Leo, we learned that he had a brain condition called ventriculomegaly. It meant that water could get into his brain and cause developmental disorders. It was very scary to hear that at twenty weeks, with twenty more weeks to go. The doctors suggested that I consider a termination. But I wanted to have the baby. Waiting for Leo’s birth was the hardest thing I’ve ever gone through. I was anxious for the rest of my pregnancy. I asked the doctors, “What’s the worst-case scenario?” They said they wouldn’t know until Leo was born. He could need a wheelchair, he could be mentally disabled, or he could be completely fine. Waiting for Leo’s birth was the hardest thing I’ve ever gone through. Cognitive behavioral therapy (CBT) helped me cope with the stress. It lessened the panic attacks. When Leo was born, he seemed completely healthy. It was a miracle. But then we started to see little issues. At three months, we took him to a neurologist. It turned out that he has an extra Y chromosome. He also has Desanto-Shinawi Syndrome, a developmental disorder. Desanto-Shinawi is very rare. It was only discovered in 2014. The doctor told me, “You’re going to be the leading expert on this, because there’s very little research.” It’s associated with developmental delays and low muscle tone in children. But no one knows what happens in adults, because no long-term studies have been carried out. Day-to-day life can be hard. Leo is almost two, and he doesn’t have any words yet. He’s not walking. His cousin is the same age, and there’s an obvious difference between the two. It can be tough to see those comparisons. Because Leo needs so many different therapies, I couldn’t continue my full-time job. Instead, I got a real estate license. I continue to work, but I can be at home when I’m needed. Leo is truly my greatest joy in life. Leo is truly my greatest joy in life. He has a wonderfully social personality. He plays little games with me. He hides food in his high chair, looks at me, and puts his hands up in the air like, “Where did it go?” He makes me laugh every day. Sometimes I’ll ask, “Why me? Why us?” When I have those thoughts, my faith in God sustains me. I prayed a lot during my pregnancy, and I pray regularly now. I often thank God for giving me the gift of caring for Leo. I’m grateful that I was trustworthy enough to be that person. Caitlin is a proven businesswoman and sees real estate as a perfect opportunity to use her interpersonal skills and love of people to help families buy and sell their most personal asset. She remains active in her Catholic faith and serves as a lector in her parish. 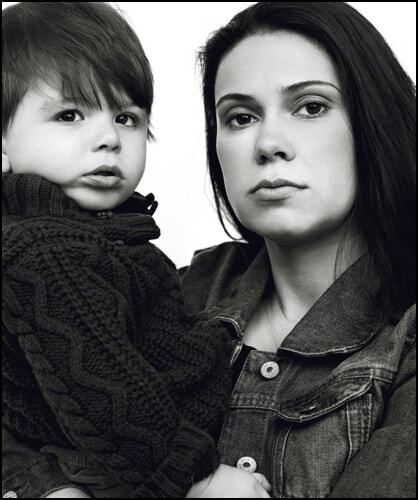 Caitlin lives in Vernon, NJ with her husband, Joseph, her son, and boxer-lab. She and her family are excited to welcome baby number two in September 2017.